This is a fabric-wrapped standard light switch plate. Sasswatch switch plates are wrapped in 100% cotton fabric. All edges are covered, and the entire surface is sealed with a protective coating for easy cleaning and durability. 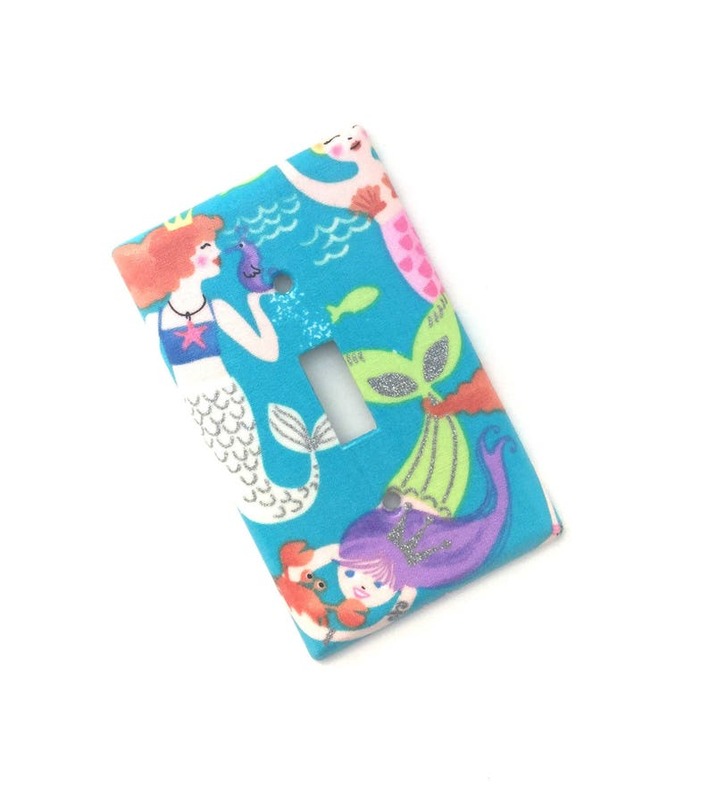 I can make additional matching switch plates (any type) or outlet covers -- just convo me to let me know what you need. Please see Shop Policies for payment/shipping information. Very cute! It is perfect for my son's new superhero room! We LOVE our Charley Harper light switch and outlet covers. Our baby boy's nursery is Charley Harper themed, and these covers really help bring everything together nicely. They turned out great! Please pay via credit/debit card, Etsy gift card or PayPal. Please contact me if you're not 100% satisfied with your purchase. Due to the weight of the pots, items will be shipped the least expensive way via US Mail within 3-5 business days of receipt of payment. If shipping cost is significantly less than what you were charged, I will refund the difference.